The fortress of Terezín was constructed between the years 1780 and 1790 by the orders of the Austrian emperor Joseph II in the north-west region of Bohemia. It was designed to be a component of a projected but never fully realized fort system of the monarchy, another piece being the fort of Josefov. Terezín took its name from the mother of the emperor, Maria Theresa of Austria who reigned as empress of Austria in her own right from 1740–1780. By the end of the 18th century, the facility was obsolete as a fort; in the 19th century, the fort was used to accommodate military and political prisoners. From 1914 till 1918 it housed one of its most famous prisoners: Gavrilo Princip. Princip assassinated Archduke Franz Ferdinand of Austria and his wife on June 28, 1914, which led to the outbreak of the First World War. Princip died in cell number 1 from tuberculosis on April 28, 1918. On June 10, 1940, the Gestapo took control of Terezín and set up the prison in the Small Fortress (kleine Festung), see below. By November 24, 1941, the Main Fortress (große Festung, i.e. 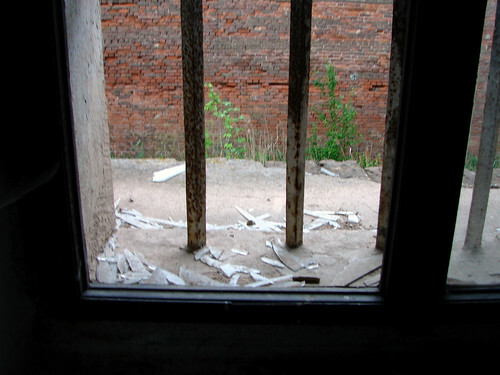 the walled town of Theresienstadt) was turned into a ghetto. To outsiders, it was presented by the Nazis as a model Jewish settlement, but in reality it was a concentration camp 'where over 33 000 inmates died as a result of hunger, sickness, or the sadistic treatment meted out by their captors'. Theresienstadt was also used as a transit camp for European Jews en route to Auschwitz. 'Although some survivors claim the population reached 75,000, official records place the highest figure on September 18, 1942, at 58,491 in Kasernes (barracks) designed to accommodate 7000 combat troups.